Chinese scientists have uncovered one of the strangest prehistoric creatures discovered to date. 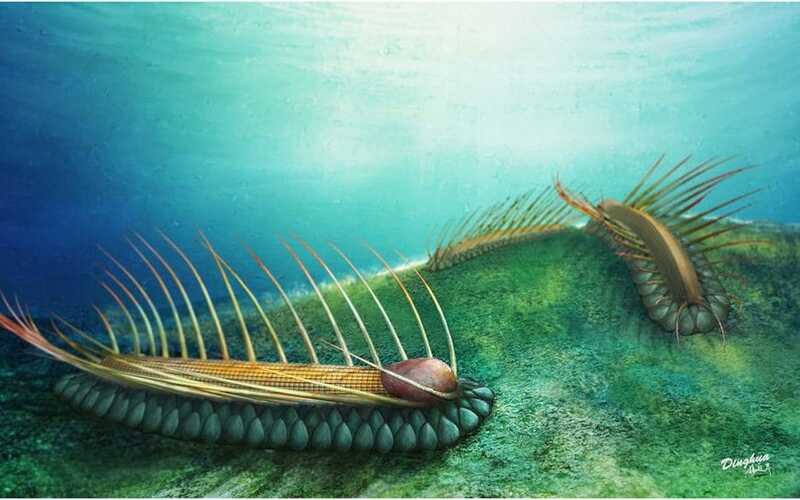 The ‘mythical beast’ is described as a helmeted wormlike animal that lived in the ocean approximately 500 million years ago and also had a series of spikes running down its back. The newly discovered creature has been named Orthrozanclus elongate. “Odder still, its head is covered by a small shell, almost as if it’s wearing a bike helmet,” said Martin Smith, an assistant professor at Durham University. Previous articleIs There ALIEN Bacteria On The ISS? Next articleBizarre: Can you ‘hear’ this GIF?